We’ve been kindly sponsored by Jigsaw Tree for our 1st Worcester Soup. Their contribution is really helping us set up. All the door money goes straight in to the hands of the winning pitch. 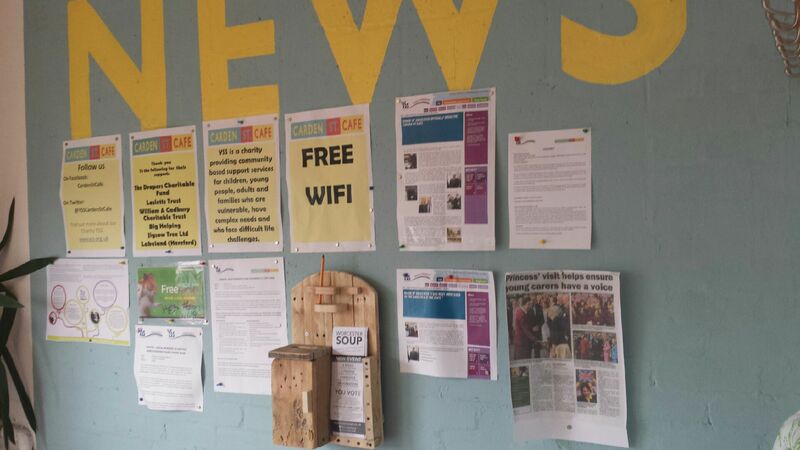 YSS have made us an ideas box and it is now on the wall of Carden St Cafe so go take a look. 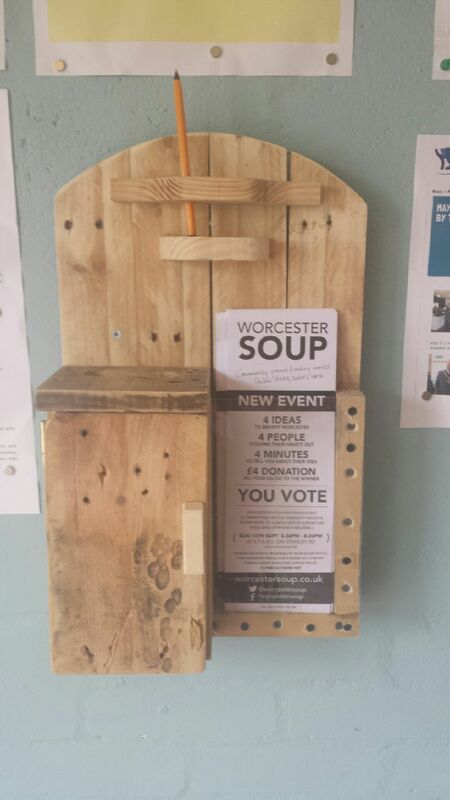 They are also making our special Worcester Soup Ballot Box for your votes. Thanks guys. The are other ideas boxes going out around the city. Look out for the ones in the Hive and Wardon library. Deadline for SOUP proposals is the 13th August so get your skates on with those ideas and projects. Wouldn’t it be great to say you were pitching at the very 1st Worcester Soup. You can post your submission in to the ideas boxes or apply on the website. I’m amazed by the support from around the community. From the students union at the university, to local entrepreneurs and charities I’m hopeful that we’ll get a great mix of people at the first dinner. We’re connected with all other Soups in the UK as they kick off their first events. Look out on twitter for updates from other Soups. We’re in contact with Detroit Soup, the founders of the Soup movement. Amy who heads up Detroit Soup is coming over to the UK this Autumn and we’re hoping her visit might coincide with our SOUP. We’re attending the Festival of Business the Sunday before Worcester Soup. Why not come and say hello. Please keep the ideas coming and watch out for more info over the coming weeks.